Spring is coming...Part 2: Man Improvements - Patrick Sullivan, M.D. Last week, I blogged about the ever-so-popular Mommy Makeover procedures that we perform in our practice from eyelid, face, and neck rejuvenation to breasts and abdomen. Interestingly, a large and ever growing number of men have realized how beneficial face and body enhancements can be for them. 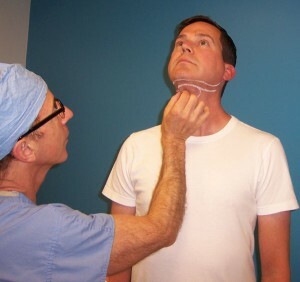 Several months ago, we wrote about the increase in men seeking cosmetic treatments embracing both surgical and non-surgical enhancements such as Botox for frown lines as well as Kybella for double chins. Men are really noting the benefits professionally and also in terms of building their self-confidence. Although men do not experience the direct physical changes that occur with pregnancy with women, they do, however, have lifestyle changes when it comes to parenting, professional stresses, genetics as well as aging. Men are finding it more difficult to maintain a youthful physique and appearance. Like women, when diet and exercise simply doesn’t cut it, men are realizing that it’s acceptable to consult a plastic surgeon for help. What plastic surgery procedures do our male patients often seek? Men frequently seek gynecomastia (breast reduction) procedures. In 2011, gynecomastia was one of the top cosmetic procedures for men according to The American Society of Aesthetic Plastic Surgery. We have found the ultrasonic technique to be incredibly helpful to decrease the size of large male breasts through a very small incision. Our goal is be able to give men back a normal appearing chest without noticeable scars. We want them to be able to go to the beach and take off their shirt without anyone ever thinking they had plastic surgery. General anesthesia is rarely ever needed for the treatment. Another popular procedure for men is liposuction of the ‘love handles’ as they want a shape that is more fit and trim. Many of our male patients often have concerns that they look tired, stern, or angry when they are not. Or, men keeping their chins up. Thus, eyelid, face and neck rejuvenation in men are extremely popular in our practice. 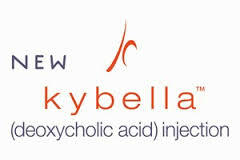 These treatments have skyrocketed in popularity. Our specialty is truly giving our male patients a very natural enhancement so they have a wonderful improvement but does not look surgical. More about that coming up in future blogs. The increase in cosmetic treatments for men is on the rise and we are excited about this. Ultimately, it is about looking and feeling your best. So, if you are a man and would like to talk about your concerns please feel free to contact our office for a consultation. We would be happy to discuss or answer any questions you may have.